Constance “Connie” (Tuzzolo) Piaggio – in Woburn, February 6th, 2019, at the age of eighty three. Beloved wife of the late Alfredo Piaggio. Cherished mother of Susan Piaggio – O’Keefe, her husband Jamie of Salem, Paula Zandbergs, her longtime companion Bob Masters of Woburn, and Cristina Doherty, her husband Michael of Winchester. Dear sister of Louis “Loui” Tuzzolo of Woburn Theresa Ruzzo, her husband Thomas of Ipswich, Mary Pollard, her husband Philip of Woburn and the late Gennaro Tuzzolo, his wife Rita and Antoinette Cacciola. Adored “Grammy” of Lars, and Stefan Zandbergs, Marissa, Tara and Liam Doherty. Connie is also survived by many loving nieces and nephews. At the request of the Piaggio family all services will be private. Remembrances in honor of Connie may be made to the MSPCA at Nevins Farm, 400 Broadway, Methuen, MA 01844. Constance “Connie” (Tuzzolo) Piaggio, passed away at the Kaplan Family Hospice Home in Danvers, Wednesday afternoon, February 6th after a long, courageous battle with cancer. The beloved wife of the late Alfredo Piaggio, she was eighty three years of age. Born in Woburn, Connie was the daughter of the late Enrico and Rosa (Torquato) Tuzzolo. Connie’s parents were born and raised in Italy. When they moved to America they always kept a very strong connection to Italy, continuing to speak the language at home and celebrated everything connected to Italy. Raised in the Hammond Square section of the city, Connie was educated in the Woburn Schools, graduating from Woburn High School along with the Class of 1953. After high school, Connie pursued her dream of becoming a Registered Nurse at the Melrose Hospital School of Nursing, later achieving a Bachelor’s degree in Nursing from St. Joseph’s College in Maine. Connie began her career as an ob/gyn nurse at the Choate Hospital, and then continued onto the American Overseas School in Rome, Italy. It was during her seven year career there, that she met and married Alfredo. They began their family in Italy and thereafter raised their family in the Horn Pond area of Woburn. Three daughters blessed their lives and Connie devoted herself to motherhood. She returned to nursing, first with vision and hearing screenings, and then as a school nurse at the Joyce Middle School and Woburn High School. Connie was a nurse through and through. She was a selfless caregiver, and touched so many lives. Her compassion and empathy for others was unparalleled. Nursing also gave so much back to Connie, as she was so fortunate to have lifelong, loyal nursing friends. Later her beautiful grandchildren became the absolute light of her life. She was their biggest cheerleader, and always encouraged them to follow their dreams. Connie enjoyed the simple joys in life. She marveled at the robins and snowdrops of springtime, thoroughly enjoyed sitting in her backyard among the weeping willows, taking walks around Horn Pond, and making many happy memories on the shores of Gloucester’s Pavillion Beach. Connie was a woman of great love, warmth and kindness. She had been blessed with a life that she so appreciated alongside a family who adored her. 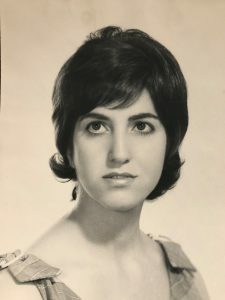 Connie was predeceased by her parents, her beloved husband Alfredo, siblings Gennaro Tuzzolo and his wife Rita, and Antoinette Cacciola, and beloved nieces Rosemary and Katina. Connie is the cherished mother of Susan Piaggio-O’Keefe, her husband Jamie of Salem, Paula Zandbergs, her longtime companion Bob Masters of Woburn, and Cristina Doherty, her husband Michael of Winchester. Dear sister of Louis Tuzzolo of Woburn, Theresa Ruzzo, her husband Thomas of Ipswich, Mary Pollard, her husband Philip of Woburn. Adored “Grammy” of Lars and Stefan Zandbergs, and Marisa, Tara and Liam Doherty. Connie is also survived by many loving nieces and nephews, and her faithful dog Phinney. At the request of the Piaggio family, all services will be private. Remembrances in honor of Connie may be made to the MSPCA at Nevins Farm, 400 Broadway, Methuen, MA 01844. At the request of the Piaggio family all services will be private. Remembrances in honor of Connie may be made to the MSPCA at Nevins Farm, 400 Broadway, Methuen, MA 01844. I recently learned Connie passed away while reading past copies of the Daily Times Chronicle. My husband Tom and I walk to Horn Pond by way of the bike bath from Winchester. Often we caught up with Connie walking in her neighborhood and stopped to chat. She was a wonderful person. My first connection with Connie was through her role as a school nurse. I taught at both Joyce Middle School and Woburn High School as a special needs teacher. Connie gave kind and caring attention to our special needs students but never treated them differently than the general population. Additionally she served as an Italian interpreter for parents who were more comfortable learning about Educational plans and personal care for their children in Italian than in English. I’m sure she felt this was just part of her job. The teaching community appreciated her special attention and talent as a nurse and Italian speaker. I’m sure her family misses her tremendously. We were saddened to learn of Connie’s passing. She is in our thoughts and prayers, as are all of you. Mary, so sorry for your loss. My condolences to you, Phil and all your family.